True, you’ve seen many colored flowers at the flower stores in the shopping arcades. 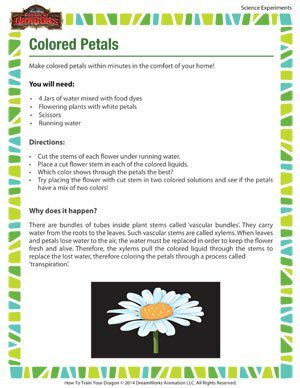 It’s time now to make your own colored flowers and keep them up for display in your living room! Isn’t it amazing how you can add colors of your choice to white petals and give them new names for fun? Science experiments like these will certainly leave you and your friends amazed!